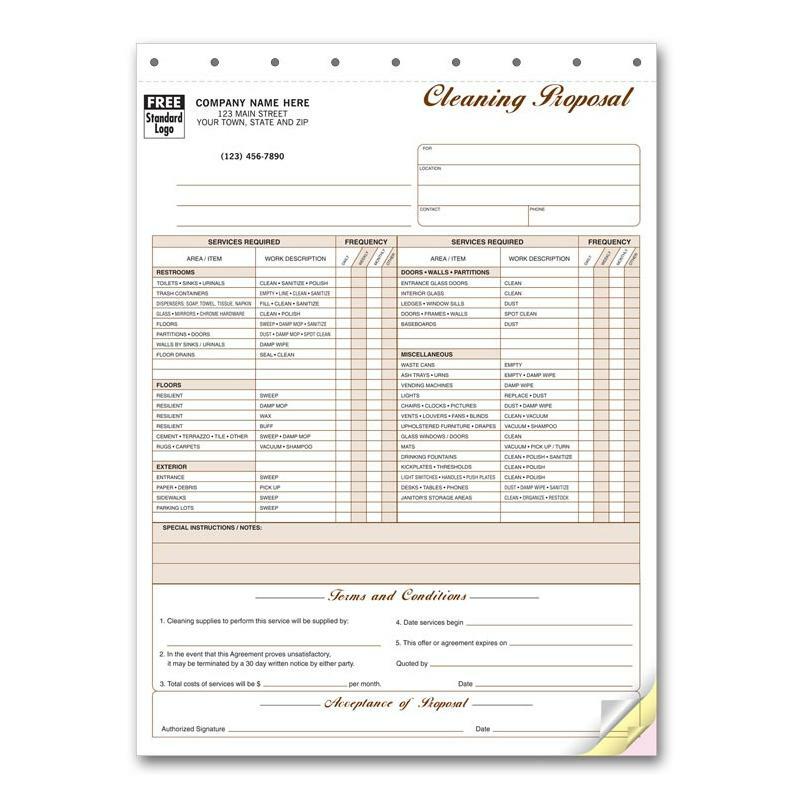 This is a professionally designed and printed form that you can use to make a proposal on cleaning and janitorial jobs. 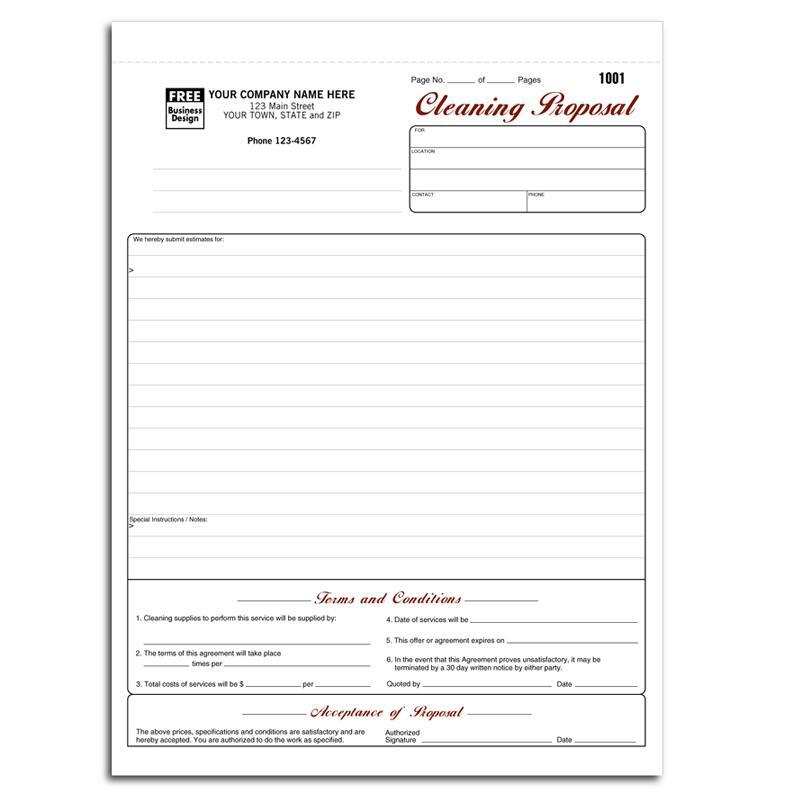 This sample or format has all the details related to the cleaning business and makes it easy for you to write in the necessary information. It is a carbonless format with 3 parts or copied on three sheets when you write on the first white paper. This is a general format with a large blank area for you to write more information. 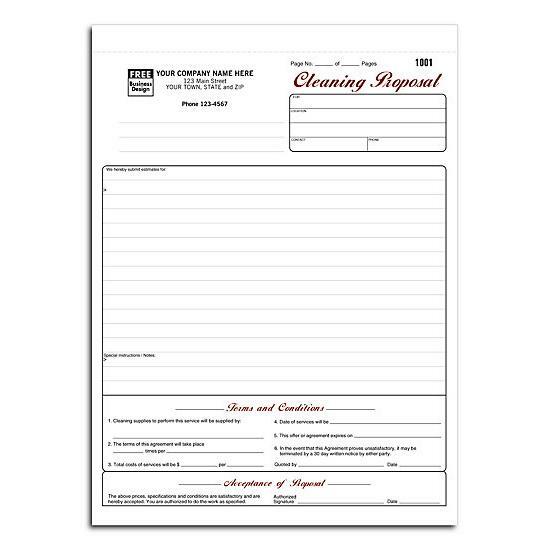 It allows you to use the form for more than one type of proposals like carpet cleaning, janitorial service, residential house cleaning, office or commercial cleaning, professional maid services, real estate service (foreclosure moves, construction cleaning), and flooring cleaning. 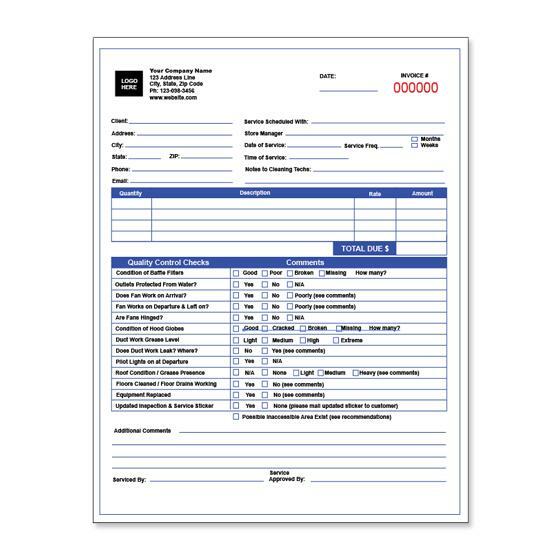 At the bottom of this form, there is a special term and condition section that gives you six sections to write in information. 1. Cleaning supplies to perform this service will be supplied by who? 2. The terms of the agreement will take place how many times? 3. The costs of the service will be what? 4. The date of service will be when? 5. The offer expires when? 6. 30 days termination by notice.